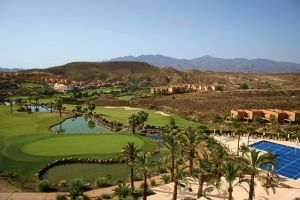 The spectacular course Aguilon Golf, situated in Pulpi, Almeria, opened in the beginning of 2008. This magnificent 18 hole course, par 70, offers a unique experience for golfers of all levels. Located at the foot of the Sierra Aguilon Mountains with some of the most breathtaking views of the Pulpi Bar. Players will have to find their way between 6 lakes, a number of ravines and the 100 + bunkers that this outstanding design offers. 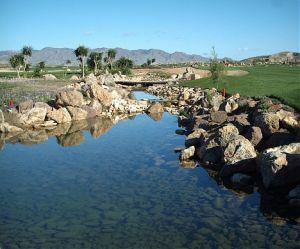 Aguilon Golf is a golf course part of Aymerich Golf Club as a Platinum Course, located in Pulpi, in Almeria (East Andalusia). 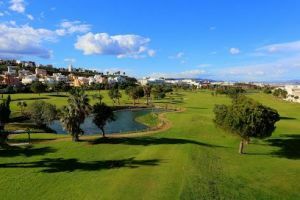 It is a course with a spectacular design and out of the ordinary with more than 100 bunkers, 6 large lakes and a large number of natural ravines that together make playing in this course an unforgettable experience. Aguilon Golf is not yet in our pool of Golf Courses for orders.